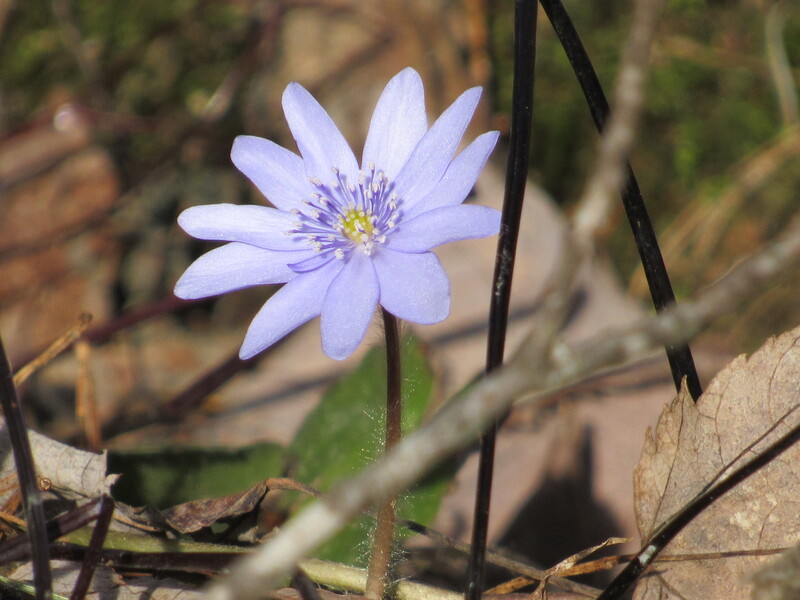 We’re offering a great class this spring on some of the earliest plants to bloom in the woodland gardens. We have been wanting to do this for some time. 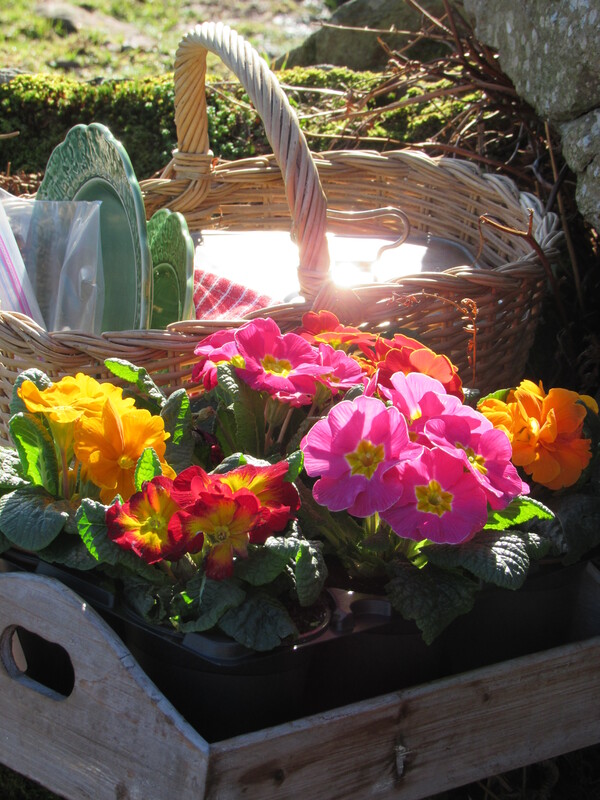 We love these garden beauties that arrive early, but often they come and go before the nursery opens and before visitors get to enjoy them as well. 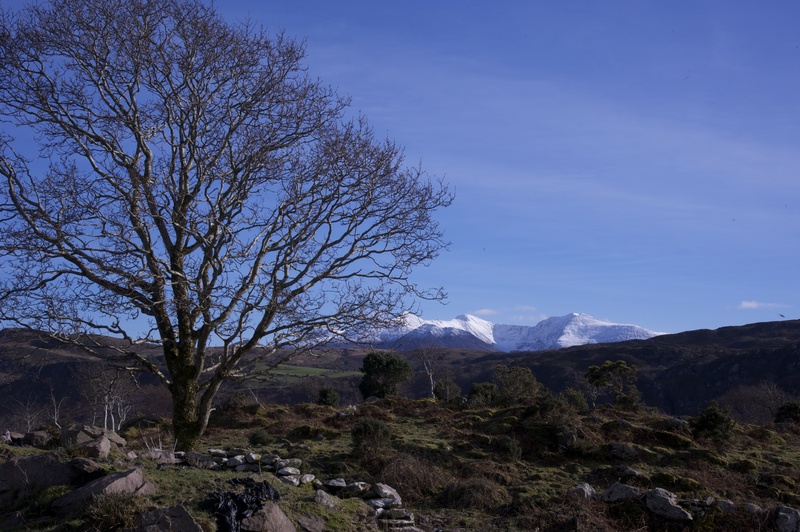 Rick will be here to lead us through the gardens, identifying some of the ‘ephemerals and early risers’ and discussing site selection and soil needs. He is always happy to ‘talk plants’, so come and join us. 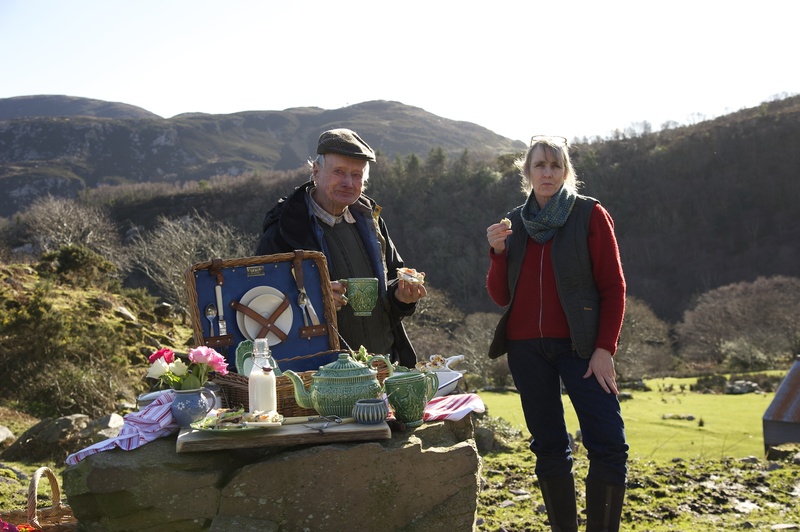 A light lunch and tea will be provided. You can check out our Classes and More page for information and cost. On Saturday, April 23rd, Rick Sawyer will give a presentation on ‘Ephemerals and Early Risers’. 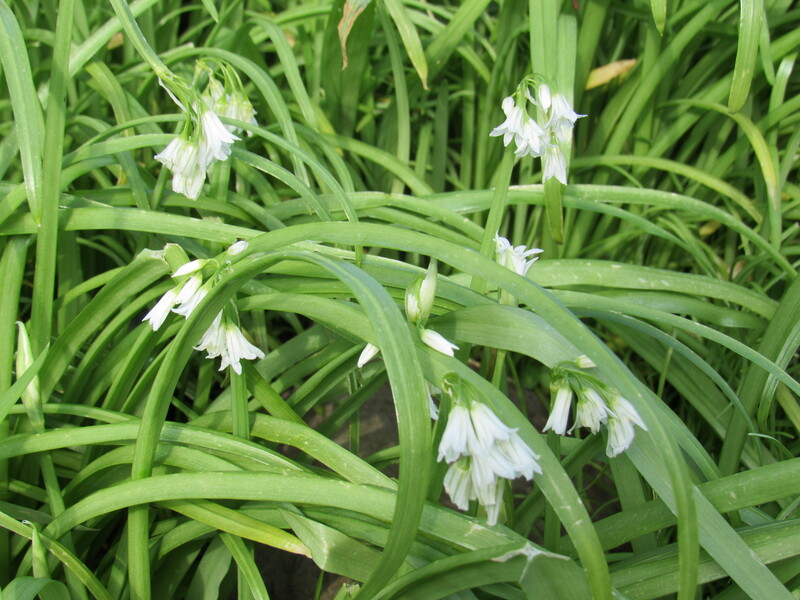 The talk will focus on those plants which are first to emerge in spring within the woodland garden. Come join us for a walk and talk as we identify and enjoy the earliest of plants to bloom and learn how to incorporate them into your own landscape. 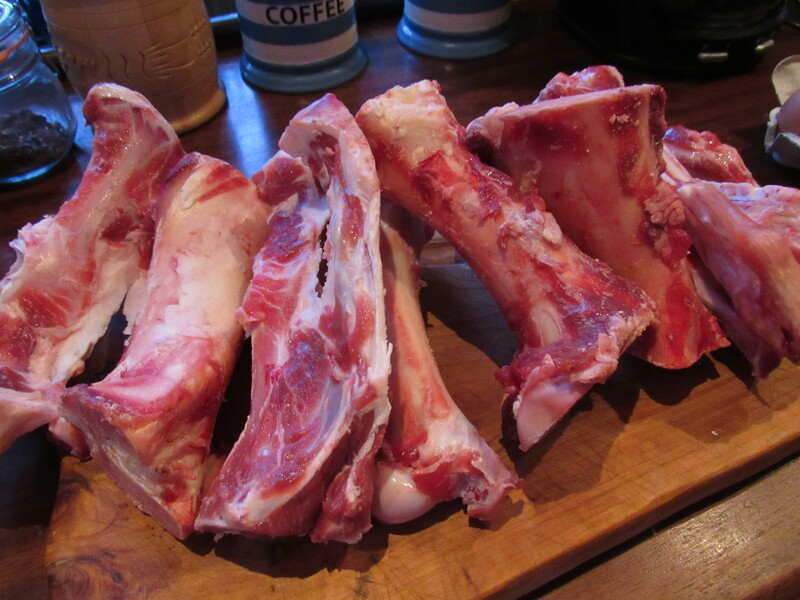 While in Ireland, Sally and I made several batches of bone broth. Finding enough bones to place in a kettle and simmer down to a nutrient-rich concentrate was no problem. In the small village where Sally lives there are at least 3 butchers. This always amazes me. Belfast is the largest town near us here in Maine ( 15 miles towards the coast) and is actually a bit larger than the little town I spend my time in while I am in Ireland. There is no butcher shop in Belfast, there are fine places to buy meat, but no actual butcher shop. We raise lamb, pork, and chicken here on the farm ( as well as having several deer hunters in the family), so the lack of a butcher is not so needful on our behalf. Back in Ireland, it seems that most little towns support not just one but several butchers in a small community. Everyone has their favorite, and all of the little shops seem quite busy. There’s also a fish market, providing a locally harvested catch. Great to go food shopping there, every day a great selection of protein to choose from! Now about those bones. At the butcher shop, I ask for several pounds of bones, usually a mixture of beef and lamb. 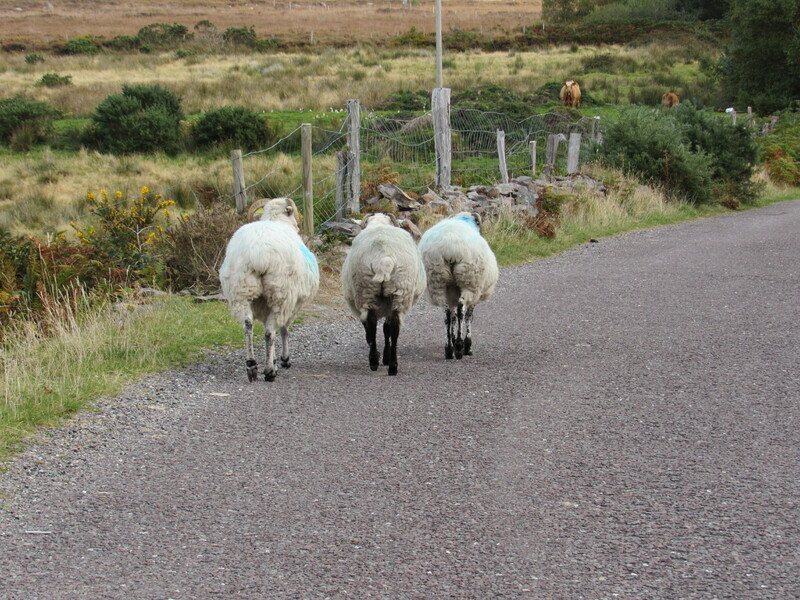 The animals raised in Ireland are mostly grass fed, which is what I prefer. 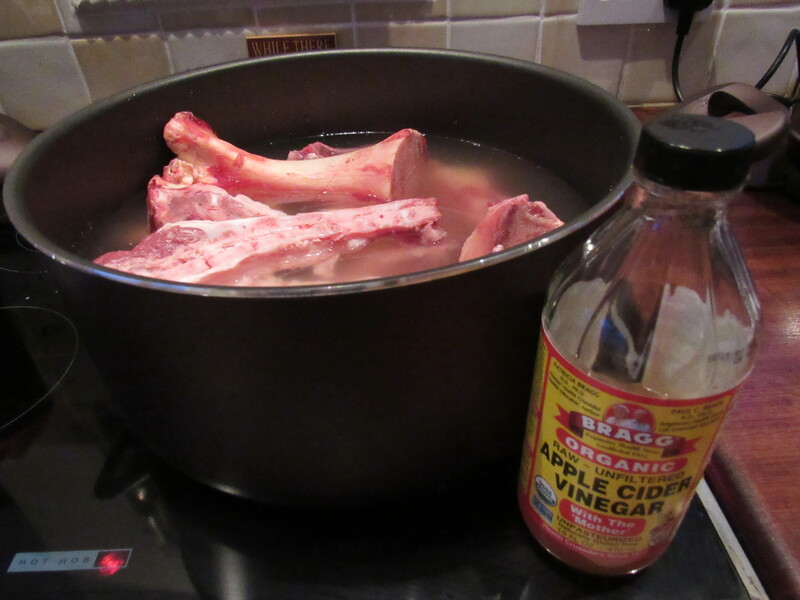 Back at the kitchen, I toss the bones into a large kettle, cover them with water and add about 3/4 of a cup of organic apple cider vinegar. 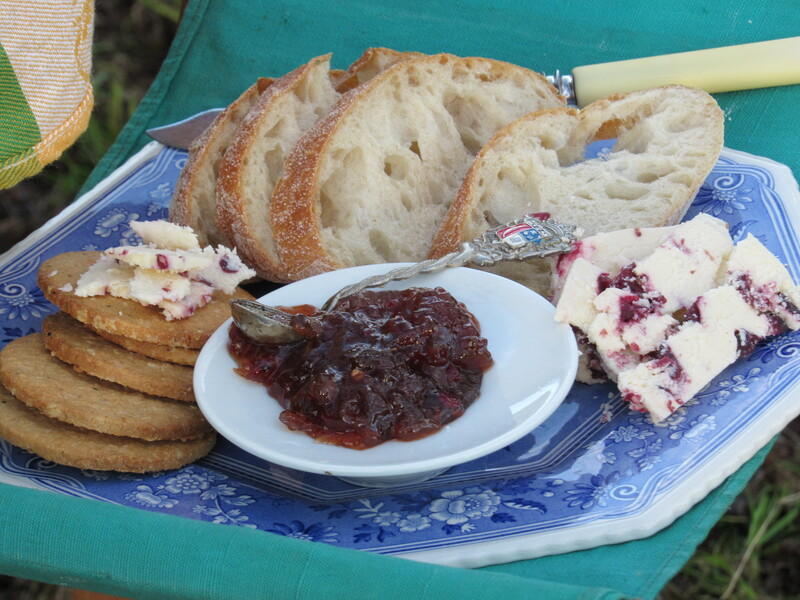 The vinegar helps to extract all of those incredible minerals out of the bones. I let the broth simmer for 4-5 hours, afterward, I strain the broth through a fine-meshed wire strainer. Then, I simmer the broth for another hour or so to reduce it into a concentrate. Why am I simmering bones into a rich dark broth? Bone broth is one of the most nourishing things you can add to your diet. It is super high in minerals- calcium, magnesium, phosphorus, and potassium, and are in a form that makes it easy for your body to absorb. Bone broth is really good for your gut and helps with digestion, it can actually help to heal your gut lining and to reduce intestinal inflammation. Glucosamine, which is a naturally occurring substance found in bones and in bone joints are vital in building cartilage and connective tissue. The amino acids that are responsible for making collagen and cartilage, proline and glycine, are found in bones. Proline helps to break down proteins for use in creating healthy cells. Glycine, another amino acid, converts glucose into energy and aids in the functioning of your digestive system and the central nervous system. The collagen, which is a protein made up of these amino acids, is the gelatinous substance in bones, muscle, skin, and tendons and in our own bodies often diminishes as we get older. Bone broth can help to restore some of this much-needed collagen in our bodies. 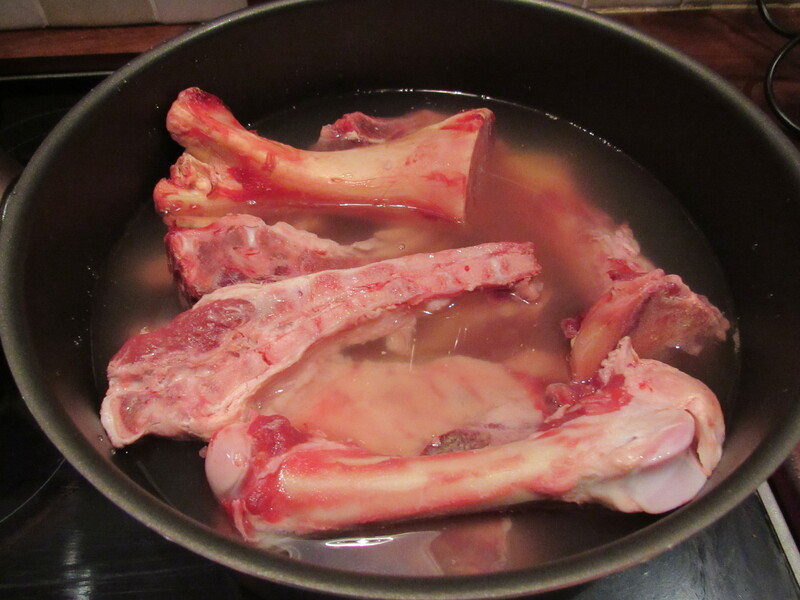 Bone broth is really a super food….and tasty. It is valuable to maintaining healthy bone structure, healthy skin, it’s good for digestion, for your muscles, heart, and immune system. Once you’ve made your bone broth, you can freeze any extra and add them to your nutrient rich stews later on. We made a broth and added mushrooms, garlic, and spinach. Honestly, it is a nutrient-rich brew your body will appreciate….so, if you have achy bones and achy joints, try making some bone broth, it may very well help to restore some overall vitality. One of my favorite natives for both ease of siting and durability is Dicentra eximia or Fringed Bleeding Heart. 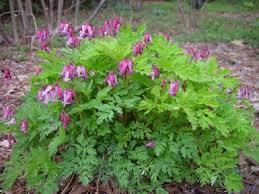 Unlike its Asian cousin, Dicentra spectabilis, this tough native of the eastern US does not go dormant in the summer. Instead, it not only retains its deeply cut fern-like foliage but continues to bloom from late spring on, except during very hot periods of the summer, only to rebloom when the weather cools down. The light to quite dark pink blossoms are heart shaped with inner petals hanging down from inside the main part of the flower giving a bleeding look to it. At an average of 12-18 inches tall and tolerant of both shade and part sun, it fits well into most borders and natural plantings. It is a favorite of hummingbirds, beneficial insects, and many pollinators. When customers ask for a plant that is tolerant of both tree roots and dry shade, this is one of the choices that I give them. It will clump and even spread slowly by seed thus naturalizing a woodland. Ants also harvest the seed and spread them around randomly, adding to any plan you may have for the planting. There are some white flowered forms available, and though not as vigorous, they do show up better, especially from a distance. The bonus of being both deer and rabbit resistant just adds to its appeal as a low maintenance native perennial. We carry Dicentra eximia here at the nursery, if you are looking for a plant to help maintain consistent bloom and provide interesting foliage throughout the season, this plant may be just the one! Back home the temps have dropped. 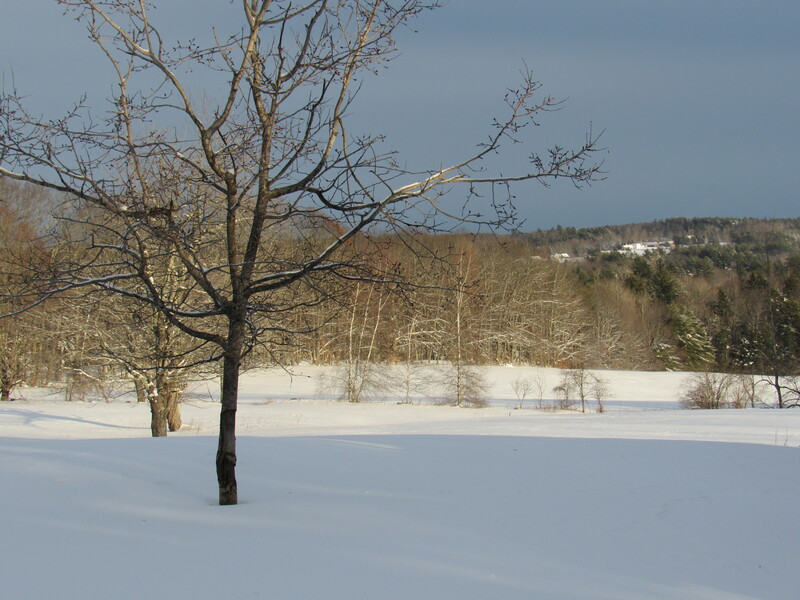 Rick has been keeping the home fires burning, the animals well fed, and the paths shoveled. Here in Ireland, the weather has taken a turn, and the wind and rain (serious wind and rain!) prevail. 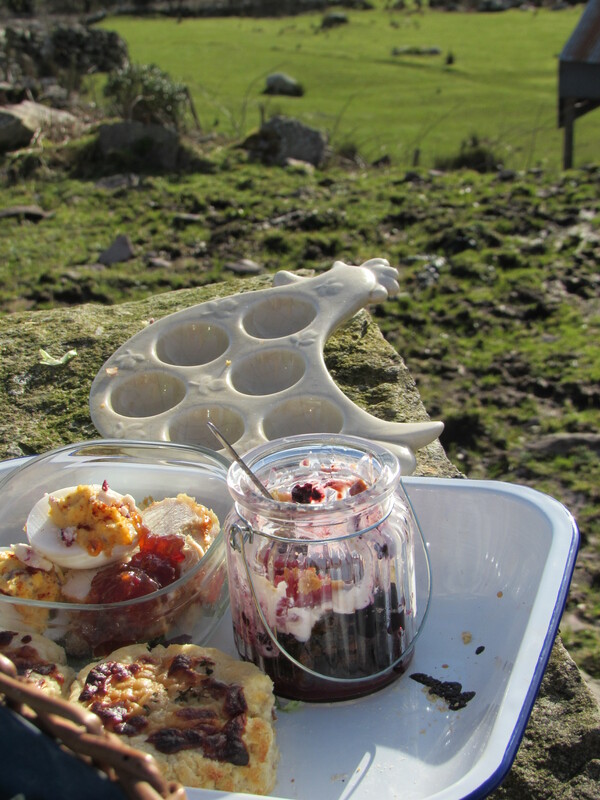 Picnics are off the list for a day or so. Our plan was to head over to Rossbeigh or to Kells beach in search of lichens for wool dyeing. Perhaps not a good day to be scurrying around on wet slippery rocks. So it looks like we’ll be hunkering down here at home and making bone broth. I guess if we’re not going to be gathering and boiling a pot of lichens to dip wool into, then we may as well simmer a batch of bones. Why am I cooking bones? How about this, I’ll go ahead and cook up some bone broth today, and in the next day or so , I’ll post some pictures and include an explanation of its health benefits. 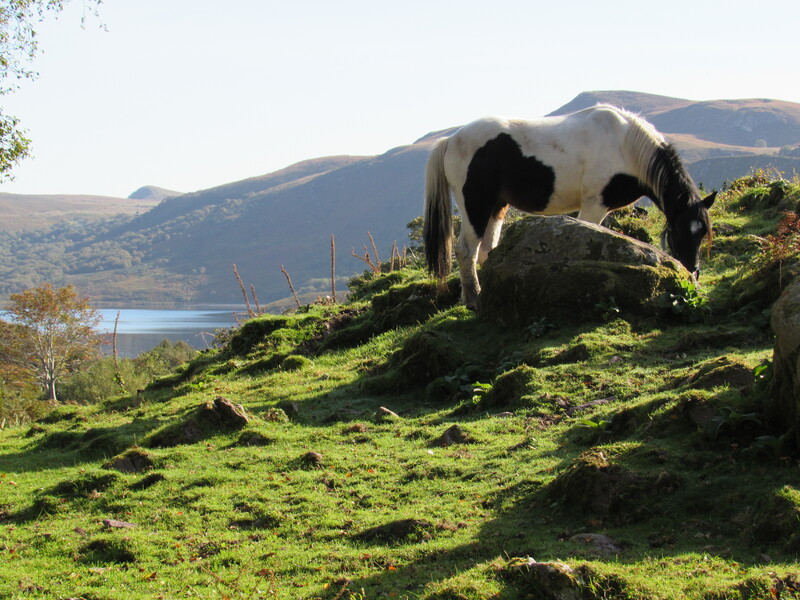 For now, I’ll just go ahead and share with you a few photos from our time spent up in the hills of Treanmanagh. I’m here in Ireland where it is fairly warm and very green. Rick is reporting from home in Maine where it is super cold and very white.I think he’ll be adding a few posts while I’m away, and I’ll be adding some photos from my days here. Today, here on the south west coast of Ireland? Not much rain. A great deal of sunshine. 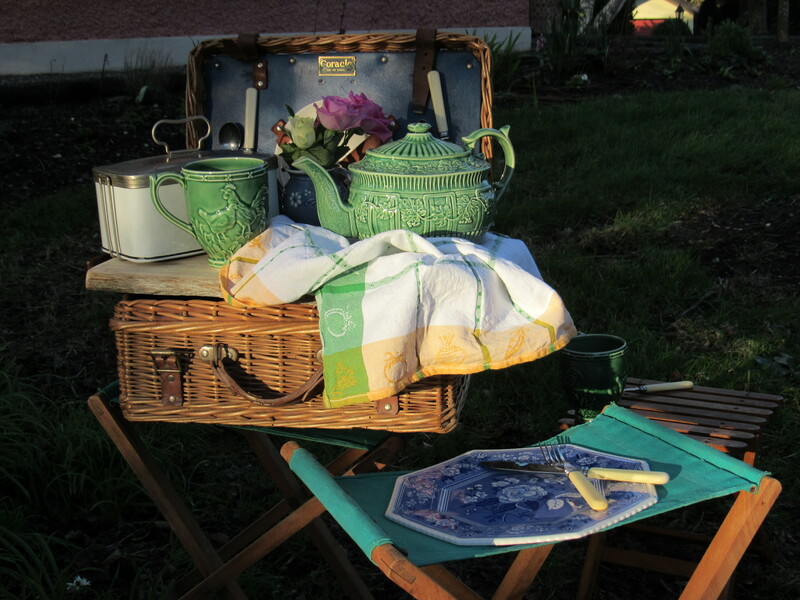 Some afternoon tea in the garden. Tomorrow? A plan to visit our friend Pat at his sheep farm. I am being urged out of hibernation to make a quick trip to Ireland. 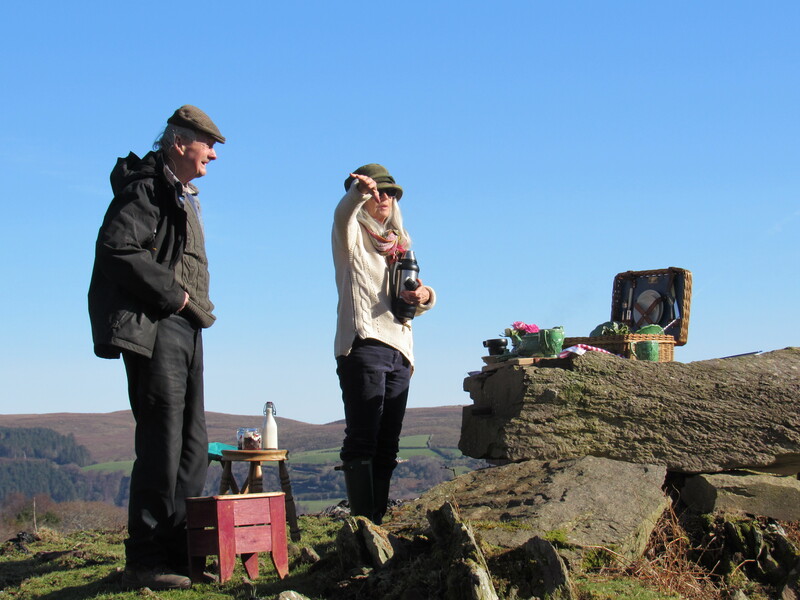 We’ll be foraging, dyeing wool with lichens, and attending a few local horse fairs. 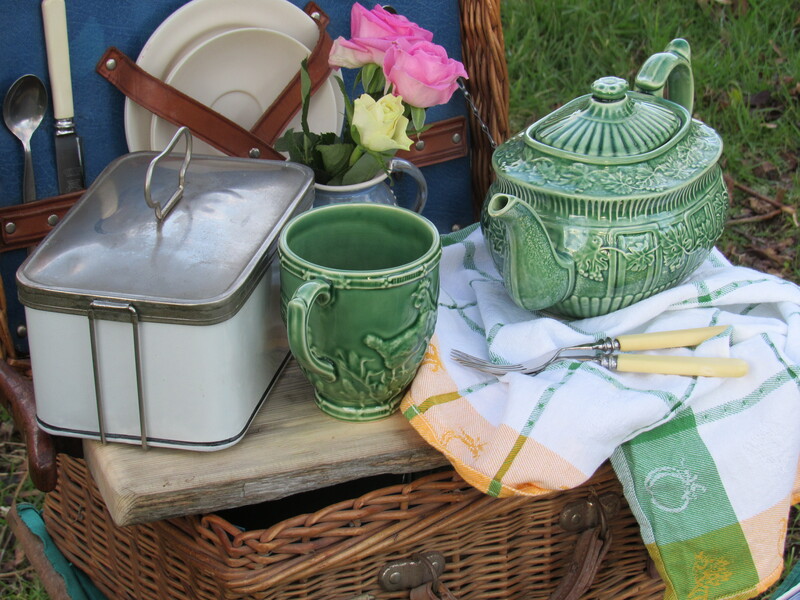 I’ll keep you posted on our day to day adventures….another sit-down afternoon tea with the donkeys, no doubt. Stay tuned! 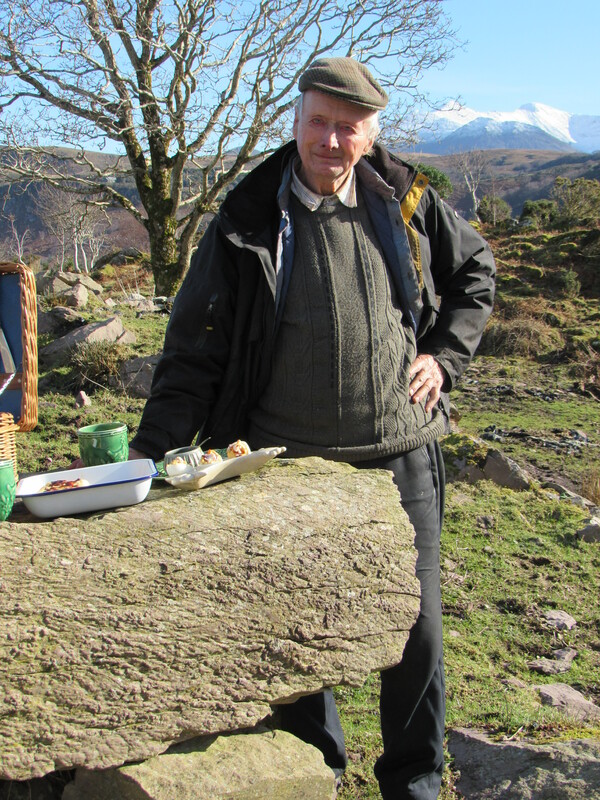 A Note From Mr. Fernwood…. It has been colder the last couple of days, colder than we have been used to this winter. We are told it won’t last too long, even though the lower temps may be a shock to some. This time of year we usually get a pretty cold period, even in a normal winter. But as one that usually works outside everyday year round, one thing that really makes a big difference to me is the increase in the length of the daylight hours and especially the strength of the sun. Even on the coldest days if I have the sun on me I can work in comfort all day long. 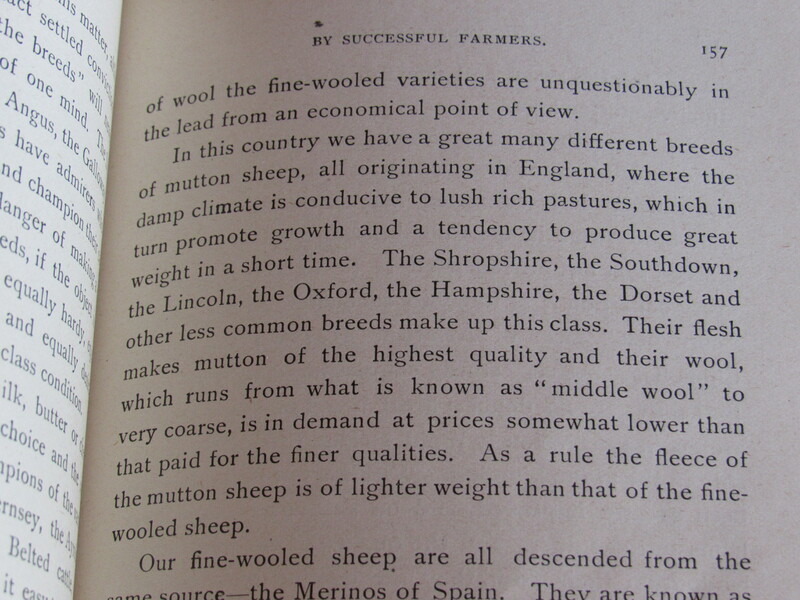 Of course I also have the benefit of several woolen garments that Denise and her sheep have provided for me. The renewed energy of the sun not only allows for more choices as to outdoor activities, but also brings to mind all that will change, and in some cases rapidly, as the sun and longer days overcome the cold and shorter days. 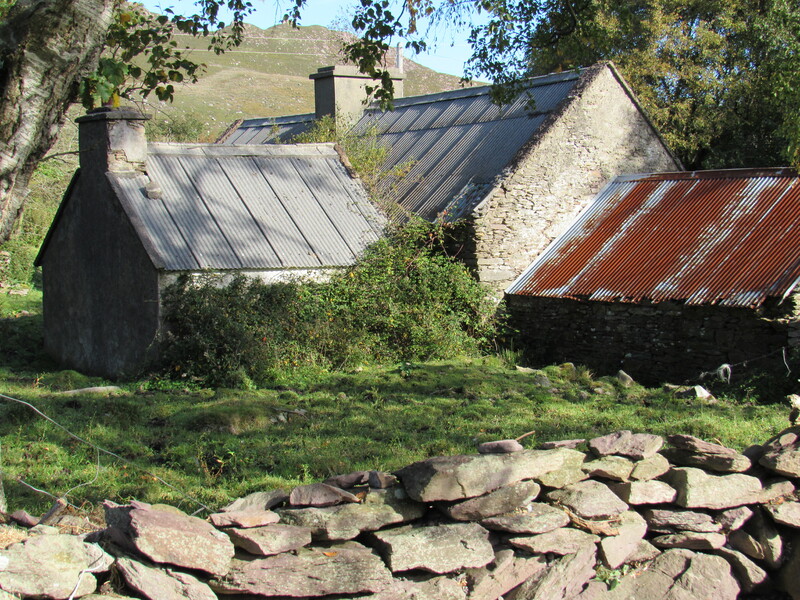 Soon our tasks will no longer be in tune with keeping warm and what we can accomplish while doing so, but tending to new growth in our gardens and the additions to the livestock. The ‘to do’ list tends to take on its own life and gains momentum with every new day. Longer daylight hours translate into longer work days. We enjoy and look forward to them, but by the end of the season we will look back more fondly of these colder but shorter days that allow us a little more choice in what we may or may not want to do that day. and it’s a warm light. 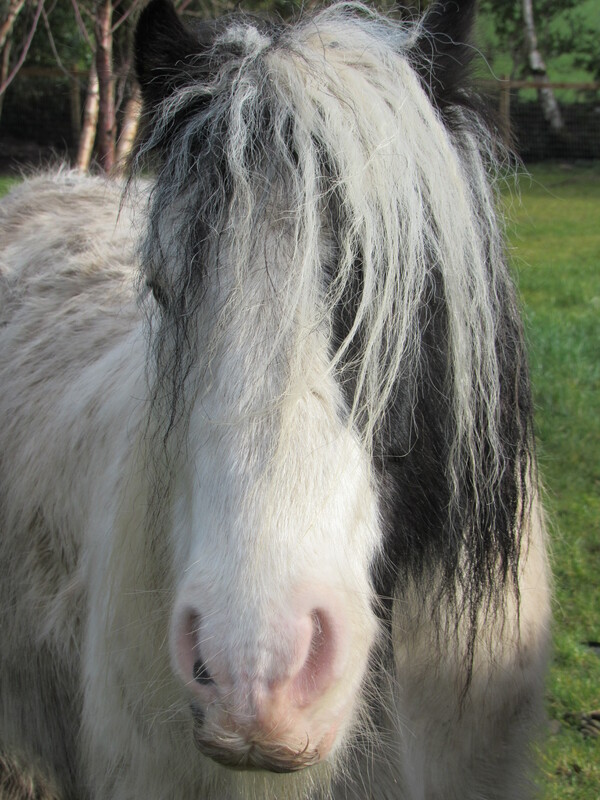 the hens start laying, the mare comes into season. like bulbs that stir in the darkness underground. my bones cracking as I sit up to stretch. deeply scored with new bear scratches. couldn’t you have waited a little longer? How safe we were in the dead of winter! How beautiful it was to sleep under the snow! 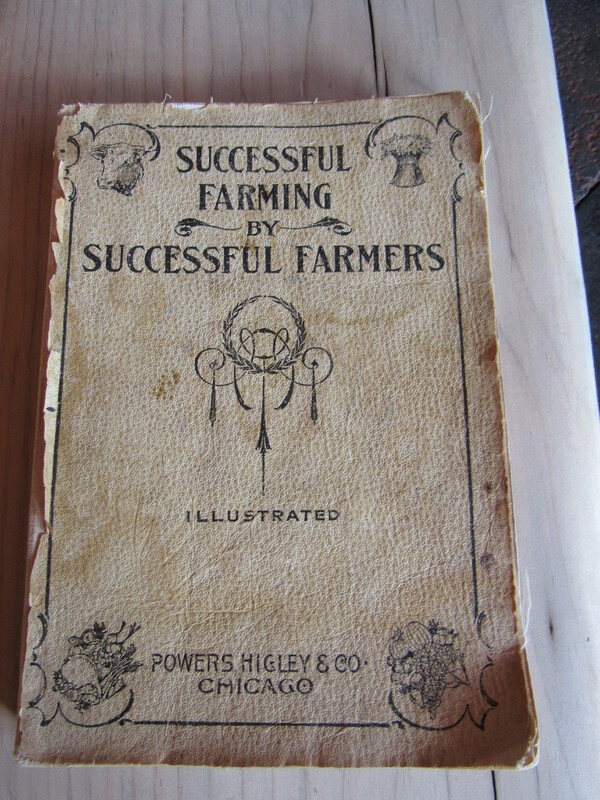 Those that really know you will often find things like this ‘Successful Farming By Successful Farmers’ book printed in 1900 and pass them your way. They do this just knowing you will be simply delighted. My mom, who’s great at finding second-hand goodies, found a copy of this for me. 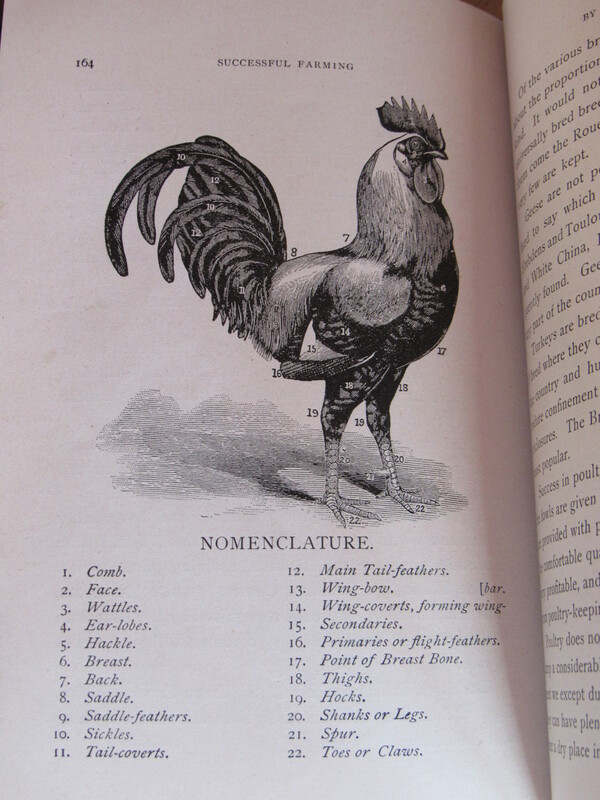 I love the illustrations and the tried and true knowledge it offers to readers. This was probably a very practical text back in the day. I know we now have this handy tool called the internet to look up information. 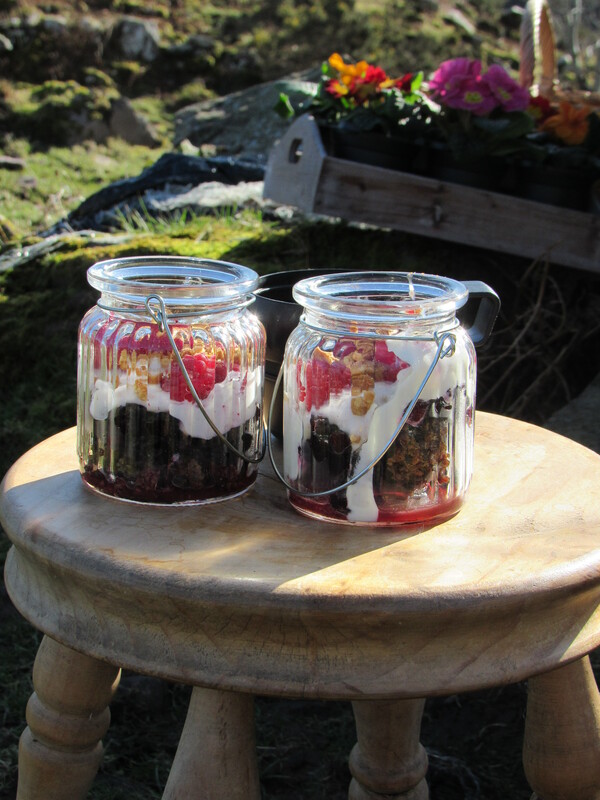 If I want to I can find many sites explaining the nutritional value of adding barley or oats to our grain mix. 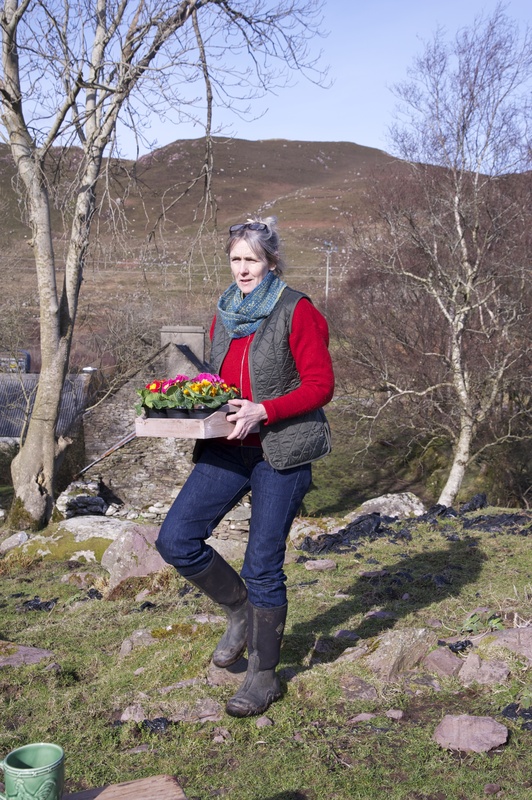 There’s plenty of material out there regarding soil fertility or green manures. Go to google and one can search for just about anything. I sure do love books though, and these old manuals are chock full of old timey insights and practical know-how, all right there in print. 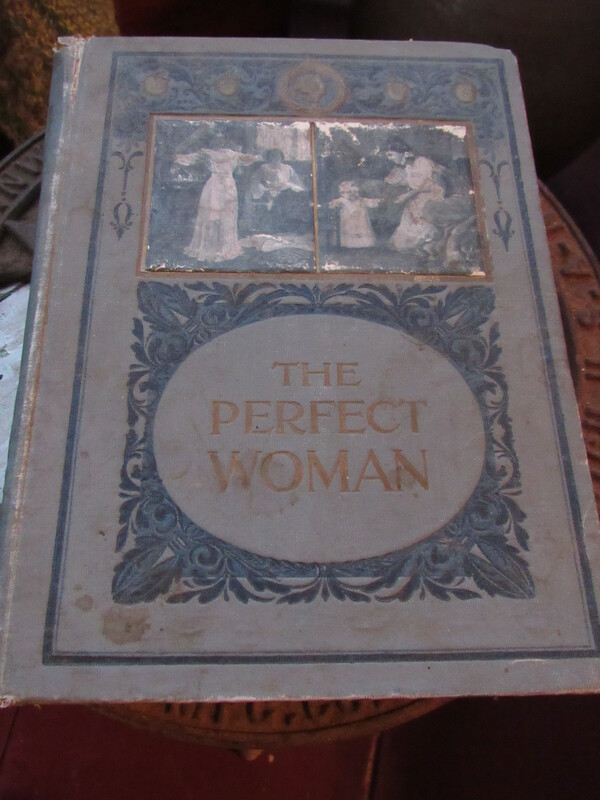 Years ago mom sent over this book ‘The Perfect Woman’ also written in 1900. There were no chapters in there about sharpening your chainsaw or for making a compost or manure tea for the garden. There is a chapter on, ‘The Hair, Its Beauty And Preservation’ but no mention of using a sharp pencil to hold your hair in place or simply wearing a knit hat on particularly bad hair days. One suggestion was to ‘ dress the hair becomingly- avoid whims of fashion. Oh, I’ve avoided whims of fashion alright! 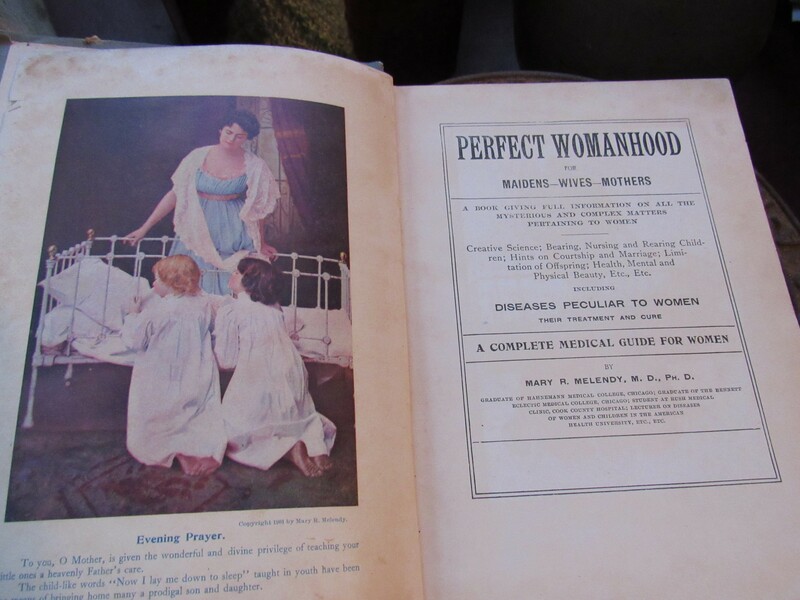 Apparently, I could have added some helpful hints to that chapter….not to mention representing the epitome of an efficient woman by keeping a sharp pencil handy. Geeze. The best part of the book are the home remedies in the last chapter. Well, that’s good and practical. Thanks, mom, for both books…which one do you think I read the most?